It’s been a while since I was in Italy and getting to experience Milan, the city of fashion was thrilling. There is something about the Italian sense of style, that is so different and striking from other places in the world. All the business men in high-quality suits combined with fancy ties, all the handsome and stylishly dressed men on the street are a feast for your eyes. I love the Italian woman’s sense of having the most strikingly beautiful shoes no matter what you are doing. The pride and attitude of “I am” is visible in the way they dress and how they carry themselves. 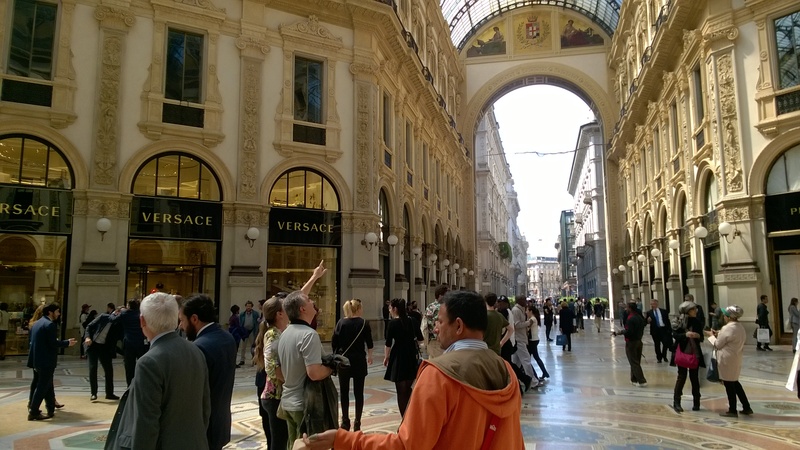 Milan is the center of endless fashion shopping opportunities. I did not have time to go and visit the Outlets that are outside Milan, but I wish I had had time. If you are headed to Milan, have a look at the Fidenza Village website. The city is divided into “fashion shopping” districts which make it easy to decide where to go. In addition to these areas, there is one place that will take your breath away. 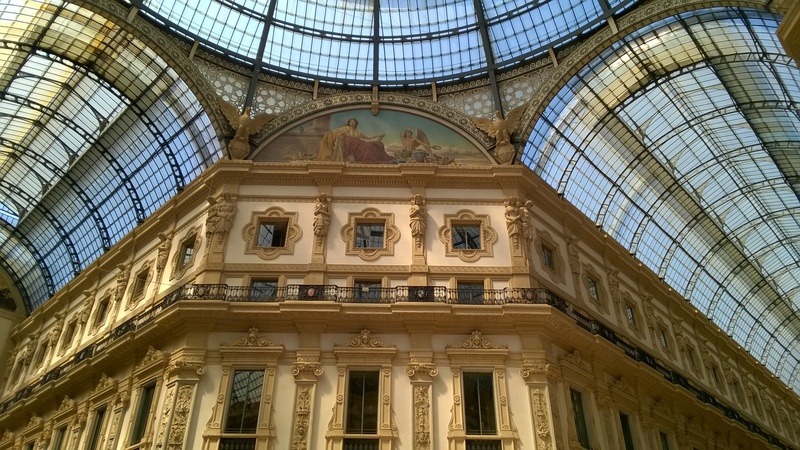 Not just because you will find brands like PRADA, VERSAGE and LUIS VUITTON, but because the Gallerie Vittorio Emanuele II is a magnificent architectural piece of art. The pictures do not do justice to the feeling that you have when you admire the architecture and visit the fantastic stores of the Galleria. The beautiful paintings high up in the galleria. Art and fashion together. I wish I had been there with you!! Milan, city of fashion wonders!! !